We all have that bag. You know the one. The bag that needs to seriously retire from your arsenal of travel tools. The one that might be hanging on to its last stitch, after only a few seasons. Enter the Commuter bag: a more streamlined, more mainstream and more versatile step toward the “everyday” bag with a twist. In a sea of nylon bags, the Commuter stands out by being rugged, yet still complementing a wide customer base. All of our bags are carefully constructed to stand the test of time, because we’re passionate about perfecting the science of durable gear suited for every adventure. Our bags are designed and built perfectly for both the worker and the outdoor enthusiast. Specifically, the Commuter bag features a sturdy 8 oz. waxed cotton canvas to withstand the wear and tear of daily usage. See where we’re going here with the perfect travel bag replacement? Ours has what yours didn’t – complete with convenient laptop and tablet sleeves as well as multifunctional comfort technology for optimal usage and storage. We built this bag for the traveler, the tech-savvy and the office dwellers. We built this bag for everyone. 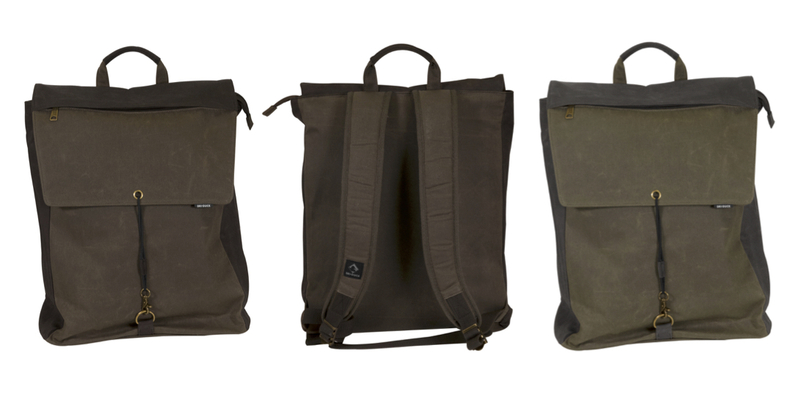 If you’re looking for a high-end, high-functioning bag that has some rugged flavor, the new Commuter bag is the answer. Unlike the traditional nylon bags that everyone has seen time and time again, the Commuter is unique and built to last. Find the Commuter bag and even more high-end gifts in the Seasonal Idea Book.